Artcoustic has awarded its February installation of the month to an amazing project, designed and installed by the team at Simply Cinemas in UK. This is a large, commercial project in the prestigious The Tower development at St. George’s Wharf, London. Artcoustic loudspeakers were chosen for many of the communal areas, including a stunning private cinema room for the residents. This is truly a ‘best of breed’ installation with Artcoustic spitfire 24-12s for LCR, two spitfire subwoofers and 75-55SL6-3 for rear channels. 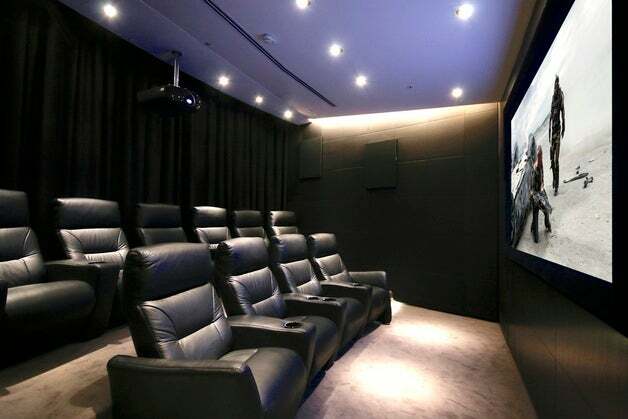 The system features a multi-way masked screen excellence screen, luxurious Italian cine italia seats, a Sony vw1000ES 4K projector, and Crestron procise AV control and processing. The result is incredible. The private cinema is only part of this installation. Simply Cinemas also installed AV into the public areas, including the entrance reception, meeting areas, gym and swimming pool. Artcoustic architect in-ceiling speakers were used in most areas, all controlled from a complete Crestron system. For further information about Artcoustic installations, visit the company website.